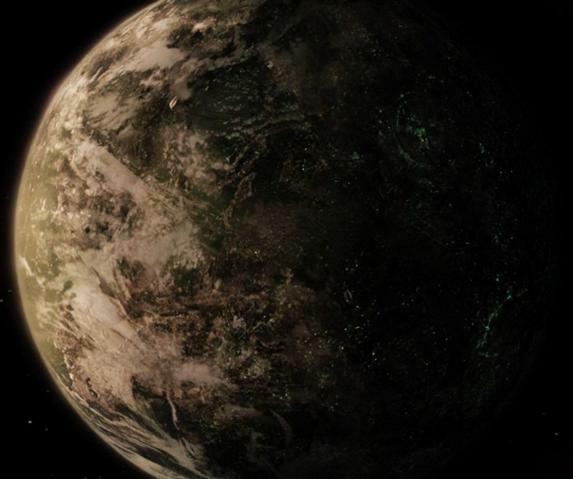 The homeworld of the Bajoran people and situated near the Bajoran Wormhole, this planet and the system are the setting for the spinoff series DS9. Throughout the series, many details are given about the Bajoran’s culture, history and people, most of which revolve around the occupation of their planet by the Cardassian Empire and their worship of “The Prophets” (aka. the wormhole aliens). 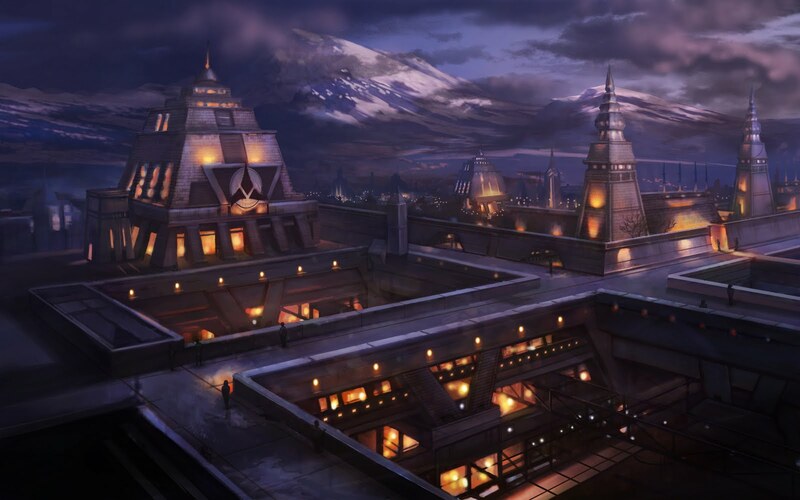 At one time, Bajor was the home of one the oldest civilizations in the Alpha Quadrant, characterized by art, poetry, and a caste system where the priestly caste were at the top. 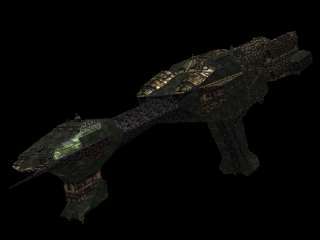 During the occupation of Bajor, which last fifty years, the Cardassians murdered millions of inhabitants, destroyed much of their infrastructure and even poisoned large tracts of land. 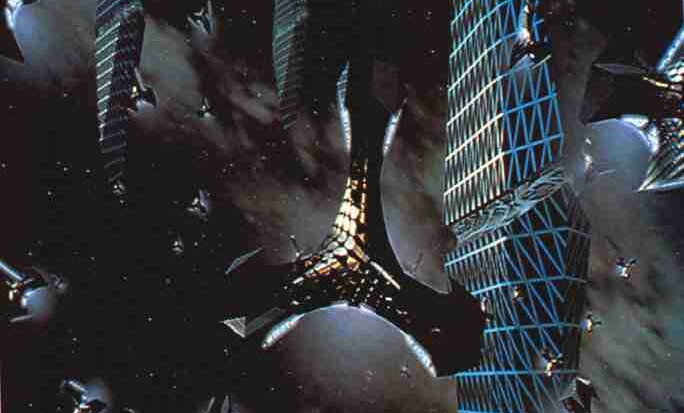 To mark the occupation, they built a large space station named Terok Nor in orbit. 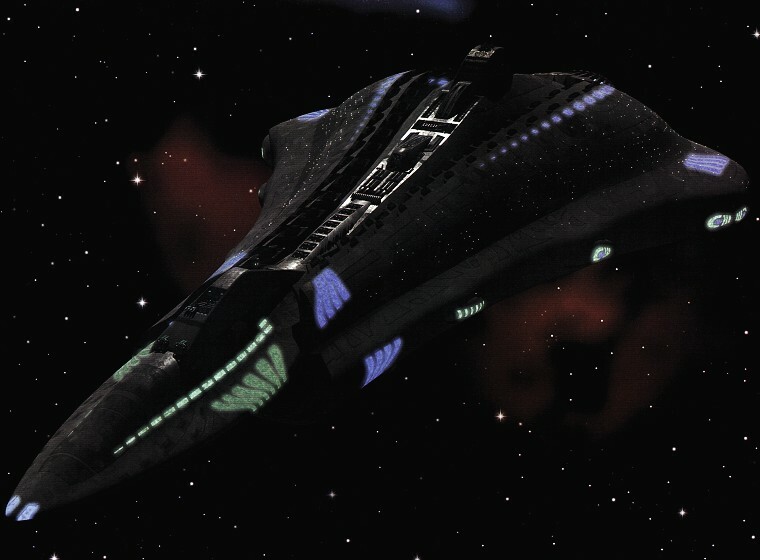 In order to fight against the occupation, the Bajorans abandoned the caste system so that everyone could become fighters. After fifty years, the Cardassian government chose to cut its losses and abandoned the world. The Bajorans took control of Terok Nor shortly thereafter, the provisional government invited the federation to take control of it, and it was renamed Deep Space 9. After the discovery of the wormhole, Commander Sisko ordered the station to relocate to guard the entrance. It was learned shortly thereafter that the wormhole was an artificial phenomena that connected the Alpha Quadrant to the other side of the Milky Way Galaxy (the Gamma Quadrant), and was inhabited by a race of super-evolved beings that had made contact with the Bajorans in the past. Because these beings were non-corporeal and had no concept of time, they were named “The Prophets”, mainly because of their ability to see into the future. 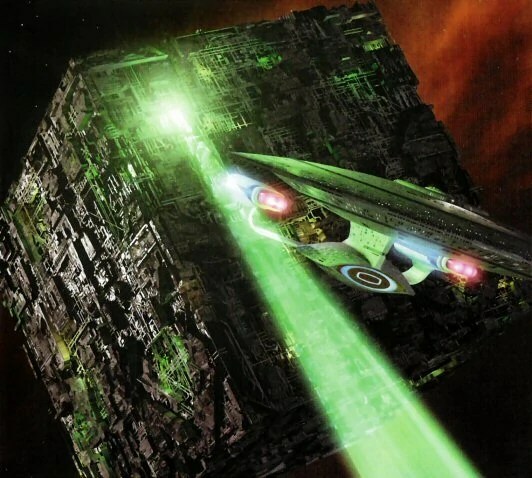 When the Dominion was discovered on the other side of the wormhole, Bajor would become the front lines in the Alpha Quadrant alliance’s war against them. During the course of this war, DS9 would become occupied by the Cardassian-Dominion alliance. 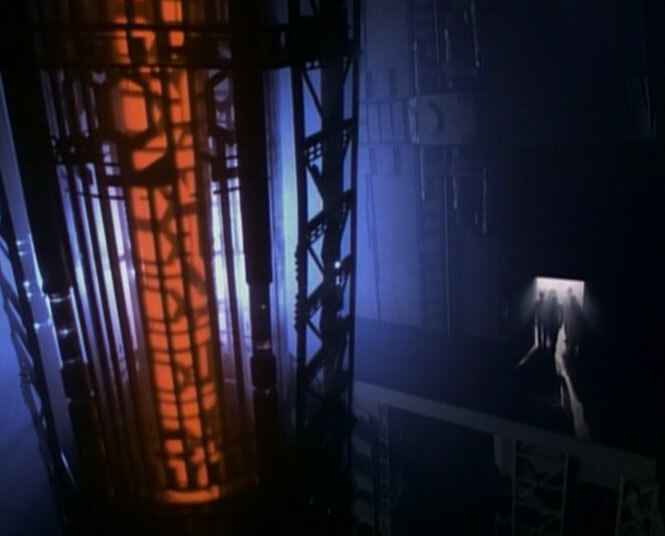 Before abandoning the station, Sisko and the crew of DS9 made sure that the entrance to the wormhole was mined so as it ensure that the Dominion could not bring in reinforcements. Due to the articles of the Bajoran treaty with the Dominion, Cardassian forces were also forbidden from occupying the planet again. 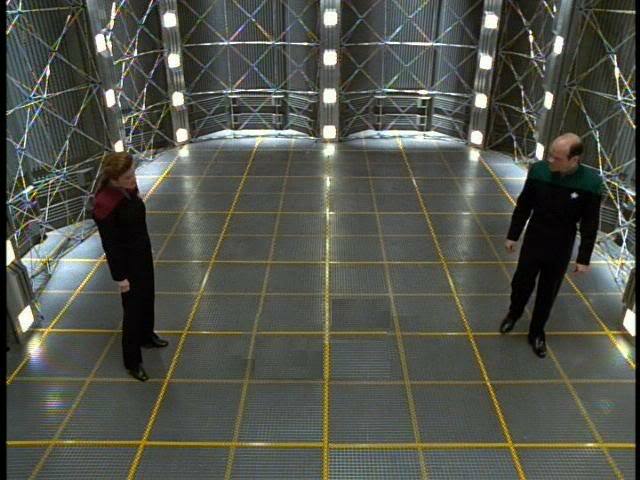 As a result, Bajor would remain free until the Federation and its allies retook the station a year later and once again controlled entrance to the wormhole. Home to the telepathic race known as the Betazoids, this planet is a member of the Federation and a major contributor to its ranks, particularly in the field of diplomacy and counseling services. Deanna Troi and her mother, Lwaxana, both call this planet home, as do many other secondary characters in the TNG and spinoff series’. 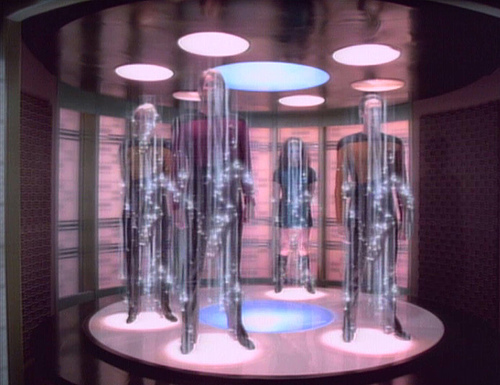 In the course of the TNG series, many aspects of Betazoid culture are made clear. For one, the planet appears to have a semi-matriarchal culture, where the eldest woman of the family holds the title for the house and all its honors. This was particularly true of Lwaxana, who in addition to being a decorated diplomat, was named “daughter of the Fifth House, holder of the Sacred Chalice of Rixx, heir to the Holy Rings of Betazed”. The planet was mentioned many times in the TNG series, usually in conjunction with the Enterprise’s many contacts with Lwaxana. 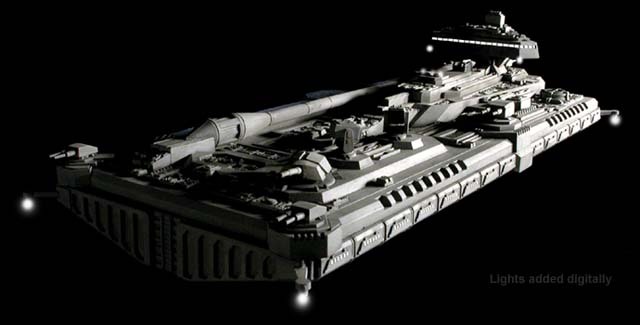 During the Dominion War, Betazed was occupied for a brief time when Dominion forces caught the local fleet off guard. 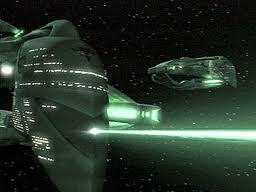 This development is what prompted Sisko to attempt a rapprochement with Romulan forces to bring them into the war. Also known simply as Cardassia, this world is home to the Cardassian people and the seat of power for the Cardassian Union. Based on the many descriptions from DS9, Cardassia is apparently a warm, humid environment that favors reptilian creatures, which is apparently the basis of Cardassian biology. Prior tot he militarization of their culture, Cardassia was home to thriving civilization that produced renowned works of art and architecture. However, the civilization soon fell into severe decline and decay, resulting in mass starvation. As a result, martial law was declared and the foundations for the Cardassian government were laid. This consisted of the Central Command on the one hand, which controlled the military, and the Obsidian Order which acted as the secret police. Between the two was the relatively impotent civilian government which exercise little real power, but which occasionally was called upon to enact policy which Command knew would be unpopular. One such decision was the removal of Cardassian forces from Bajor after 50 years of unsuccessful occupation. 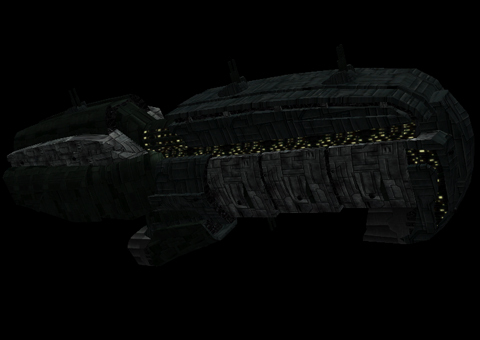 Cardassia was the first to ally themselves with the Dominion after their discovery in the Gamma Quadrant. This was after a disastrous war with the Klingon Empire, which the Dominion instigated through one of their shape-shifter replacement of General Martok. 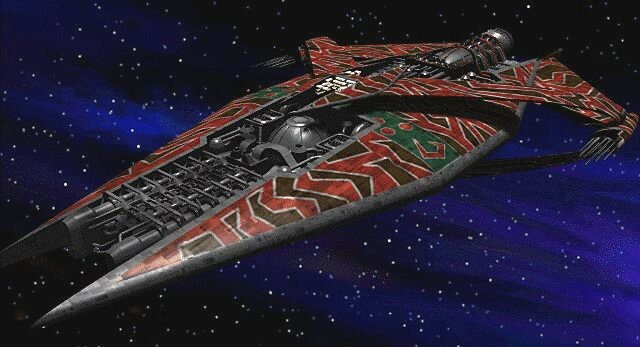 As a result, Cardassia Prime would remain occupied by Dominion forces for many years, until the arrival of Allied forces and the defection of the Cardassian military. In retaliation, the Dominion ordered the destruction of the Cardassian people, and over 800 million perished before the Founder officially surrendered. In the original series, TNG, DS9, and other spinoffs, much is made of how life has improved on Earth since the late 20th century. Though we don’t get to see much of it beyond San Francisco or Paris, it remains one of the most important planets in the Star Trek universe. As the seat of the Federation, it was the home of the Federation Council and of the office of the Federation President, and serving as the central headquarters of Starfleet. 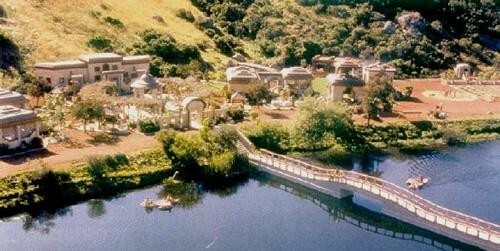 In addition, Starfleet Academy is located in San Fransisco, just in view of the Golden Gate Bridge. It was here that all characters in the franchise received their education and commission as officers. 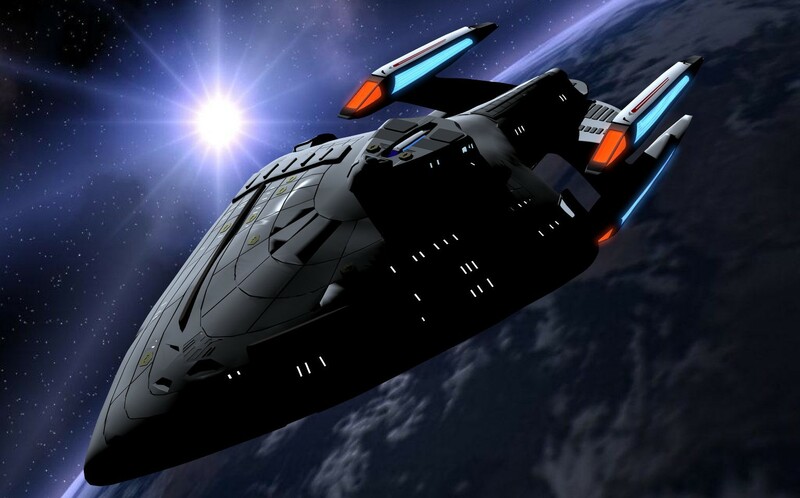 Between Kirk, Picard, Sisko and Janeway, many stories are told of memorable and nostalgic incidents, and all allude to rather trying curriculum in which their abilities and aptitude were strenuously tested. 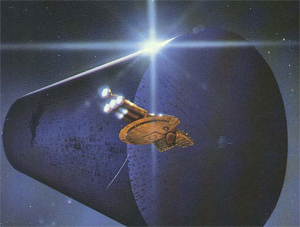 In the course of the original series, TNG and DS9, several major events are alluded to which had a drastic effect on Earth and the human race. These include the “Eugenics War” of the late 20th century, where genetically-modified human beings attempted to take over the planet. This ended when the last of the modified humans, under the leadership of Khan Noonien Soong, fled aboard the spaceship Botany Bay. 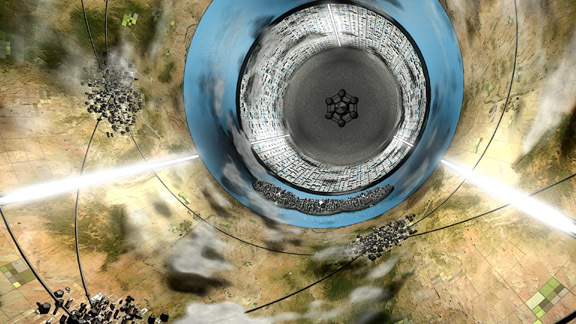 During the early 22nd century, Earth was devastated in what was referred to as the “Atomic Horror”. This causes the destruction of most major cities, 600 million deaths, and the emergence of totalitarian regimes. However, all that appeared to have changed with the development of the warp engine by doctor Zefram Cochrane and First Contact. 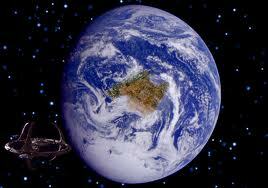 Thereafter, Earth became united in the goal of reaching the stars and building a better future. Starfleet was created to acheive this goal, and the United Federation of Planets established between the Vulcans and humanity, and many subsequent races thereafter. Beyond that, not much is specified about Earth of the 23rd and 24th century, other than saying that it is a “paradise” where no crime, hunger, war, or poverty exist. 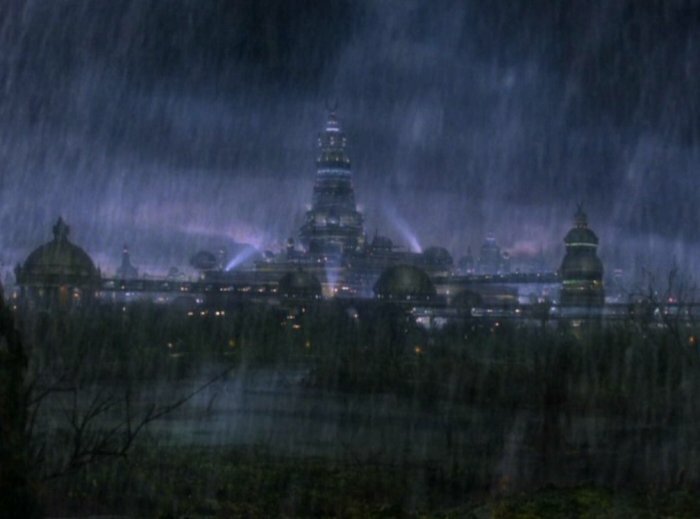 Wet, mucky, swampy, and perennially rainy, this moldy planet is home to the enterprising race known as the Ferengi. The seat of power for the Ferengi Alliance, it is also the home of the Tower of Commerce, the Sacred Marketplace, and the Ferengi Commerce Authority, the ruling body of their species. Though it was never shown in TNG, Ferenginar makes a few appearances in the DS9 series. Here, it is depicted as a rainy, wet and extremely humid place where most people live in low-domed structures. 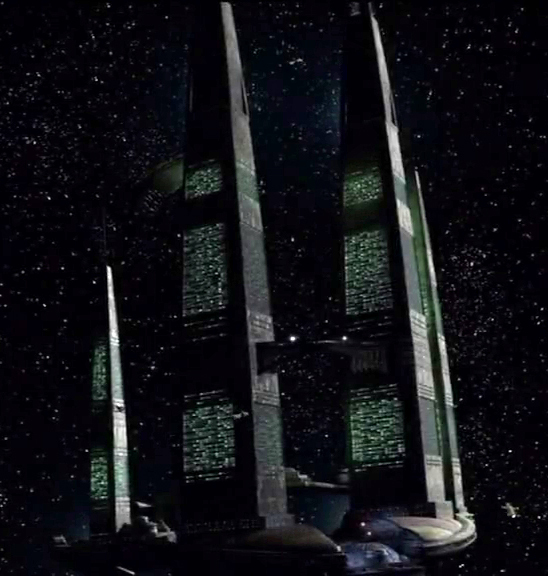 In the capitol, the majority of architecture consists of these types of dwellings, expect of course for the central spire of the Tower of Commerce, where the Authority is centered. The leader of the Ferengi people is known as the Grand Nagus, the head of all commerce for the Ferengi and the leader of the Authority. In addition to the sacred text, “The Rules of Acquisition”, the Ferengi are governed by the Bill of Opportunities, a quasi-constitution which sets out the rights of individual citizens. These revolve mainly around the right to own a business and make a profit, provided they don’t violate any of the sacred Rules or the regulations of the Commerce Authority. Though women have traditionally had no rights under the law, amendments made by Grand Nagus Sek during the course of the DS9 series granted them the right to wear clothes and make profits. A ruling council was also established to pass several sweeping social reforms, which including the imposition of taxes, social programs, and laws banning monopolies and the mistreatment of workers. 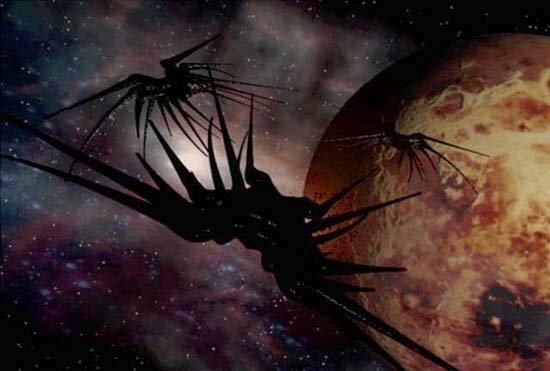 According to expanded universe sources, over 78 billion Ferengi live on their homeworld, and the civilization has been warp capable for some time. The home of the Klingon people and seat of the Klingon High Council, the ruling body of their Empire. Though very little information was given about this planet in the original series, it appeared repeatedly in TNG and subsequent spinoffs, and was mentioned repeatedly in relation to the character of Worf and the Federation’s dealings with the High Council. 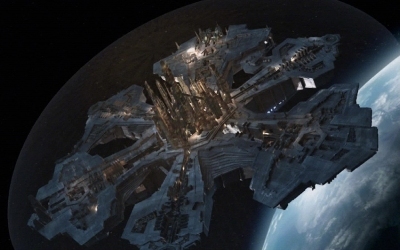 Due to the prolonged state of tension between the Klingon Empire and the Federation, very little was known about this world until the late 23rd century, when the destruction of its mining moon of Praxis forced the Klingons to sign the First Khitomer Accord with the Federation. However, it was not until Khitomer Massacre, where Romulan forces commited a sneak attack on the Klingon delegation, that an alliance was formed between the Federation and Klingon Empire. 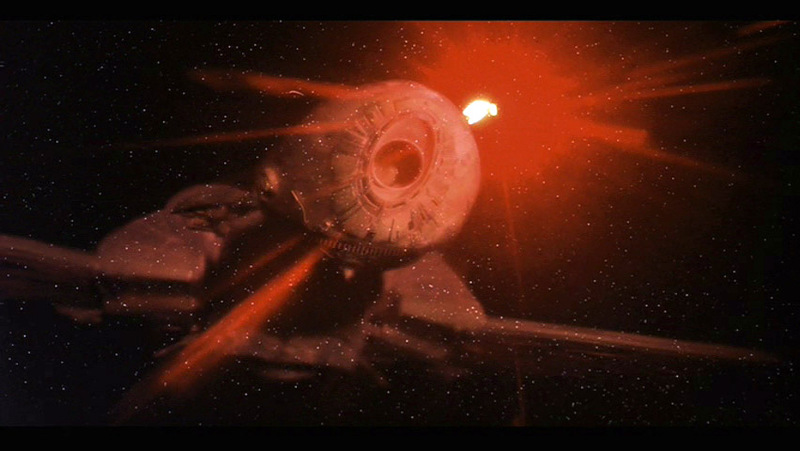 This was apparently due to the fact that the Enterprise C responded to the Klingon’s distress signal and was destroyed while attempting to defend the colony against four warbirds. 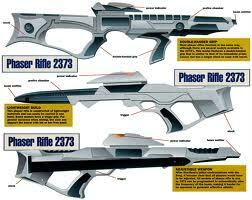 Thereafter, the Klingons became convinced of the Federation’s honorable nature and committed to a joint-defense pact. 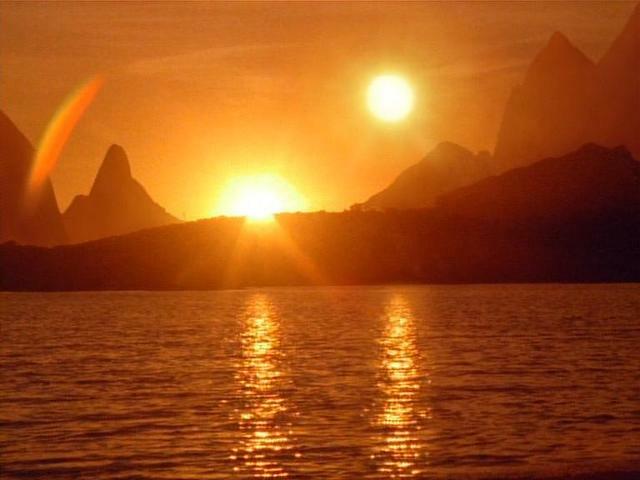 It is often been suggested that the Qon’oS of the original series is not the same planet as that of the Next Generations. This is because of events in the movie The Undiscovered Country, where the evacuation of Qon’oS became necessary because of the destruction of Praxis. 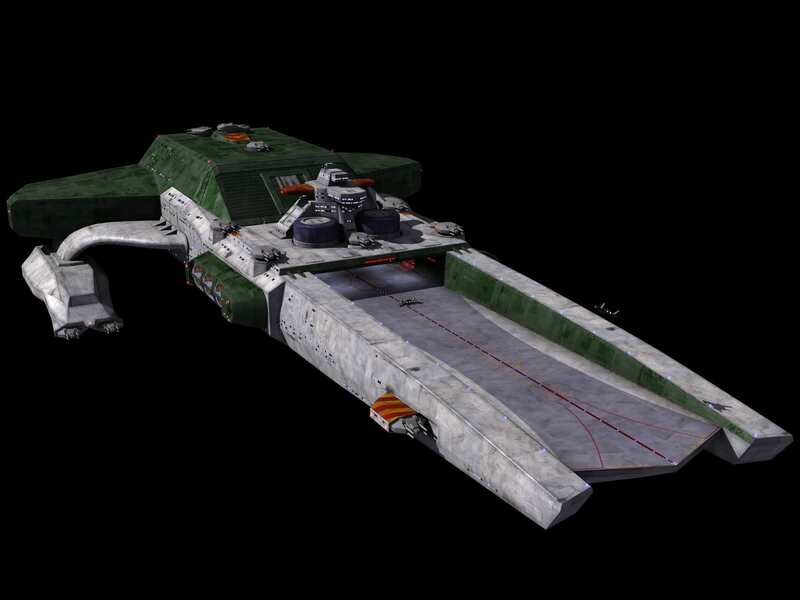 Though it was never made clear if Qon’oS was simply established on another world or was somehow saved with the help of the Federation, the name of their homeworld remains the same even if the locations has changed. Originally a dismal, rain-soaked and geologically unstable environment, the native Risans have managed to transform their world into the pleasure capitol of the known universe. This was accomplished with weather control satellites, seismic regulators, and ecological engineering, all of which resulted in a planet wide paradise that is known throughout the quadrant. Noted for its vast beach resorts and tropical climate, Risa’s greatest attraction lies in the open sexuality of its population. Identified by a decorative emblem between their eyes, Risians often initiate or respond to the desire for sexual relations through the use of a small statuette called a horga’hn, the Risian symbol of sexuality or fertility. As was made clear to Captain Picard during his first visit, to own a horga’hn is to call forth its pleasures. To display one is to announce that the owner wishes to participate in jamaharon, a Risian sexual rite. Riker has apparently visited the planet many times, and often relates why its his favorite vacation spot in the galaxy.While Picard was on leave, he also discovered the local of the Tox Uthat, a 27th century weapon which had was hidden on Risa and passed into local legend. The crew of DS9 also went to Risa during shore leave, during which time a group of extremists planned to sieze the planet to demonstrate how the Federation was not prepared to deal with the threats facing it. In the course of the visit, it was also revealed that Dax’s former host, Curzon, died there as a result of engaging in jamaharon. Death by pleasure. No wonder the place is so popular! 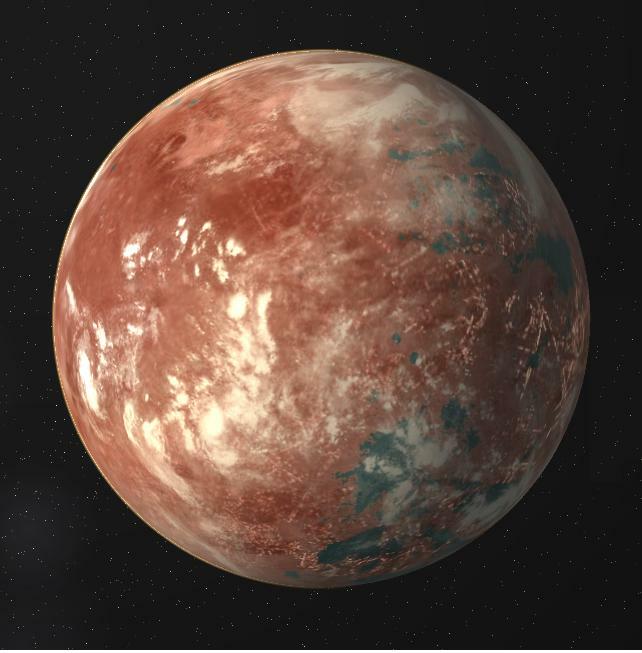 Along with its sister-planet Remus, Romulus is the home of the Romulan species and the seat of power for the Romulan Star Empire. 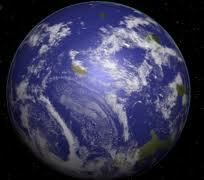 Settlement of this planet took place in 4th century by Earth standards, when Vulcan colonists discovered it at the end of a long exodus. Shortly thereafter, the Vulcan society changed with the strict institution of logic and repression of emotion. 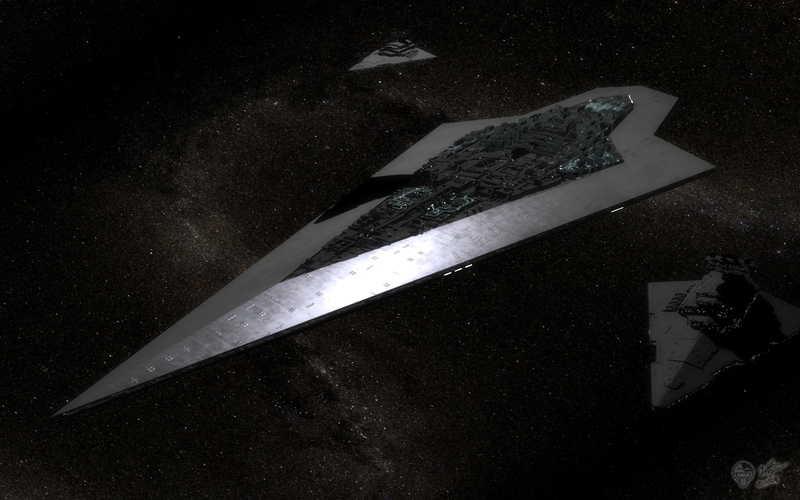 As a result, Romulans society bears little resemblance to their Vulcan forebears, though they are genetically related. Known for their arrogance and innate sense of superiority, the Romulans are one of the dominant powers in the galaxy, located in the Beta Quadrant adjoining Klingon and Cardassian Space. Because of this strategic location, they have been involved in skirmishes with virtually every civilization that borders there own. The planet is the home of the Romulan Hall of State and the Imperial Romulan Senate. In the TNG series, Picard and Data also traveled here seeking Ambassador Spock. After finding him, they discovered that his presence was part of an effort known as “Reunification”, a movement between Romulans and Vulcans who wanted their worlds to come together again after centuries of being apart. During the Dominion War, the planet also hosted a Federation Alliance Conference to help them plan strategy and address wartime concerns. Additional events took place in the franchise’s movies, particularly the TNG movie Nemesis and the JJ Abrams Star Trek relaunch. In the former, Romulus became the focal of a plot by Reman agents, led by a Picard clone, to take over the Romulan government and incite a war with the Federation. In the latter, Spock indicates that in 2387, a supernova destroyed Romulus before he could contain it using a “red matter” singularity device. The homeworld of the Vulcan race, the birthplace of their philosophy, and the center of their star-faring civilization. 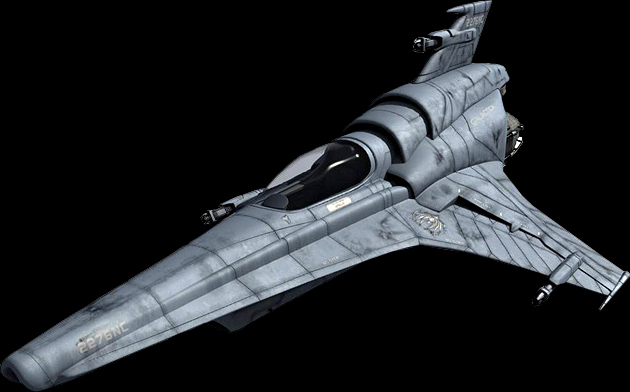 Noted for its higher than normal gravity and thinner atmosphere, the climate of this planet had much to do with fact that the Vulcan race, in their primordial form, are physically very strong, fast, and quite aggressive. 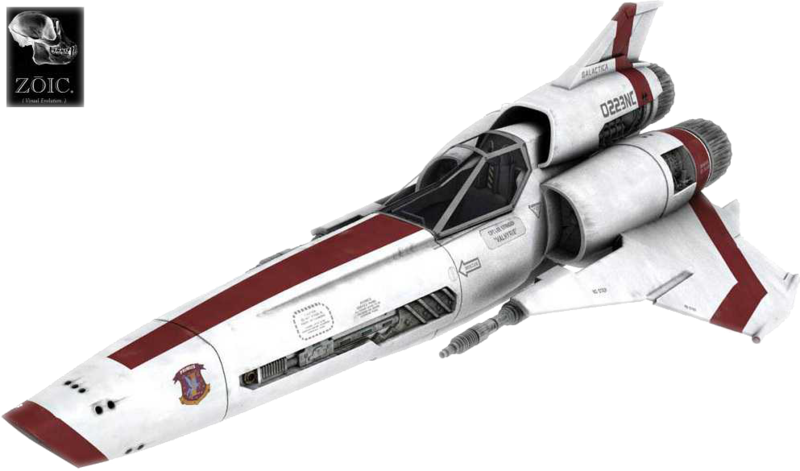 Much is mentioned of the history of Vulcan in the original series, TNG, and the various spinoff. 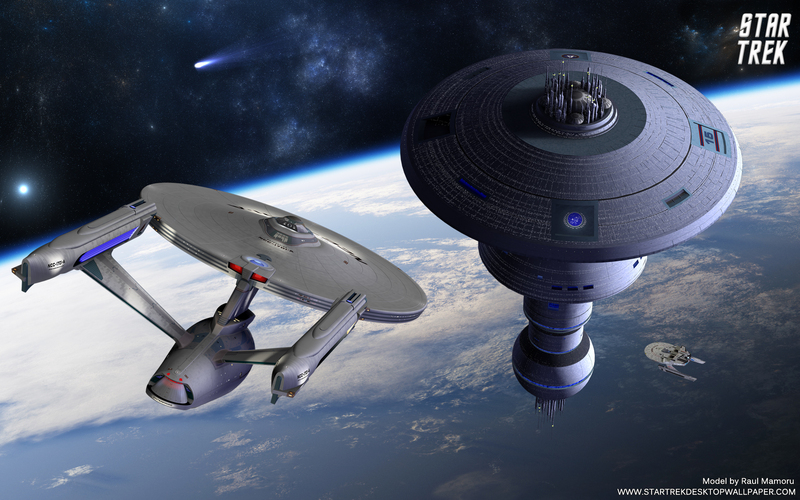 After contact with Earth, it became one of the major worlds of the Federation and home to several key installations. 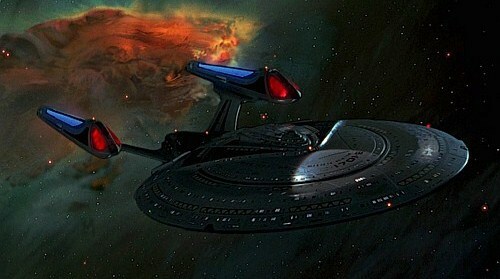 In addition, many key events took here in the expanded franchise because of its importance in the Star Trek universe as the homeworld of Spock. During the original series, Spock was summoned back to his homeworld to take part in the ritual of Pon farr, where he ended up Kirk to the death for the honor of his less-than-honorable betrothed. 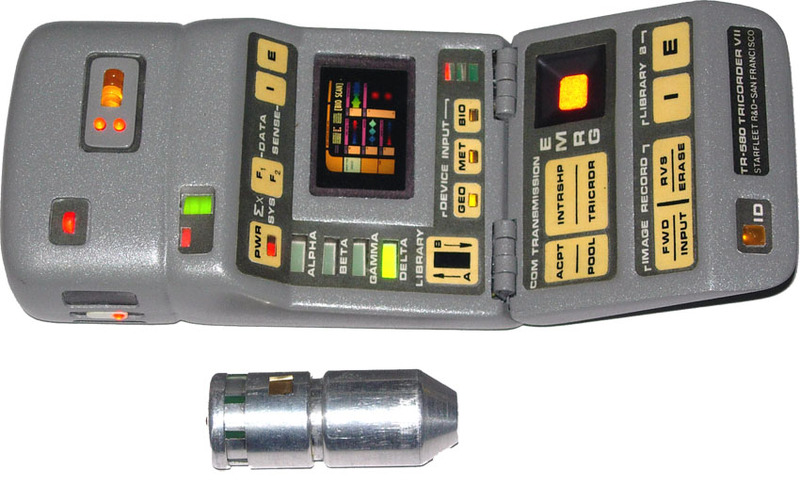 During the movie Search for Spock, the crew was forced to come to Vulcan aboard a captured Klingon vessel so that Spock’s regenerated body could be reunited with his consciousness. This ritual, known as fal tor pan and conducted on Mount Seleya, was successful in restoring Spock’s mind, which had previously been sojourning in Dr. McCoy’s head. 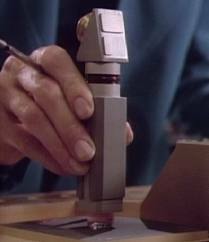 In the TNG series, some details are given about Vulcan’s prehistory, before the adoption of logic and the repression of emotions. This period, known as the “Time of Awakening” was marked by civil war between several different factions, and even involved the use of nuclear and psionic weapons. One of these weapons, known as the Stone of Gol, survived the wars and was being sought by a Romulan agent posing as a Vulcan. 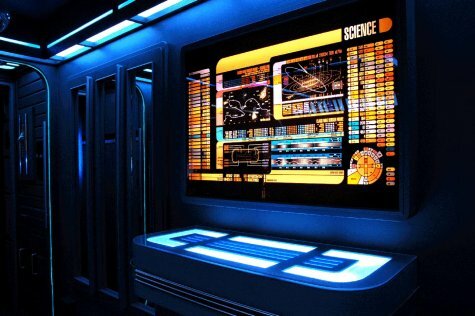 In the relaunch movie, Vulcan was a key setting, mainly in relation to Spock’s upbringing and his decision to join Starfleet rather than the Vulcan Science Academy. 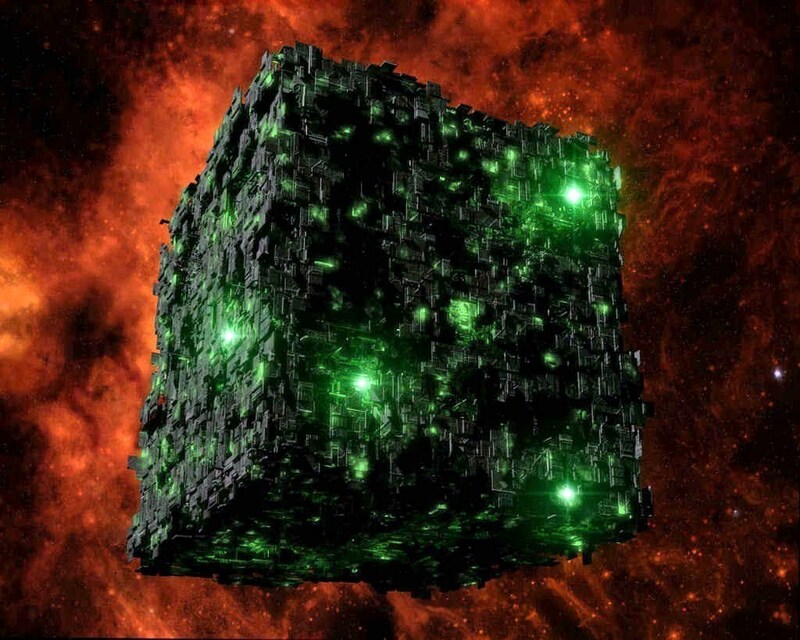 It is was later destroyed when Nero, the Romulan Captain of the Narada, used the red matter device to trigger an artificial singularity at the center of the planet. Because of these events, the Vulcan race has become an endangered species in this alternate timeline, though resettlement efforts did begin in earnest by the end. 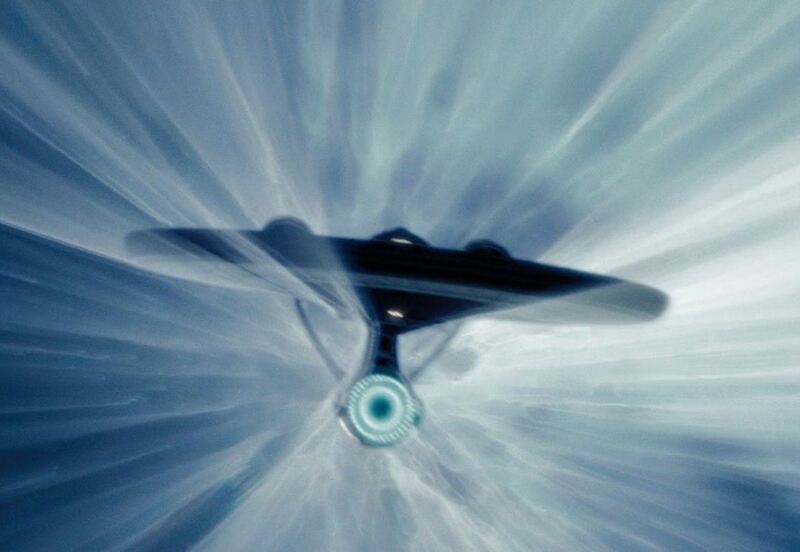 Alright, that’s Star Trek done. Now that I’ve covered this franchise, Star Wars, Dune, and even my own, there’s only one or two left that I think deserve mention. The first is the Firely universe, which I’ve already talked about at length. 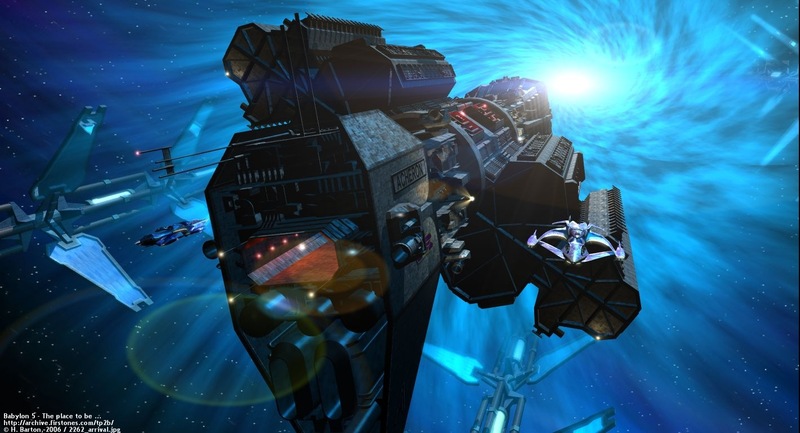 And then there’s the Babylon 5 universe, which I’ve talked about WAY more! Like to the point of nausea, tedium, and even boring myself! But if people are even the slightest bit interested, I’d be happy to cover them. Just give me a week or two to decompress… all this writing about fictional planets has got me nerded out!